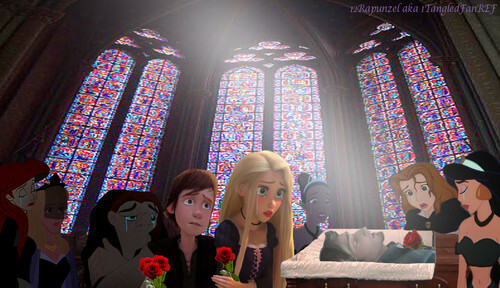 Eugene's Funeral. . HD Wallpaper and background images in the ディズニー Princess Crossover club tagged: disney crossover rapunzel jasmine aurora belle tiana ariel. This ディズニー Princess Crossover photo contains ステンドグラスの窓 and ステンド グラスの窓.